Google stated that they make a broad core update several times a year. On March 13 they announced in a tweet that this update was different then daily minor improvements. According to searchenginejournal this is the biggest core update in several years. 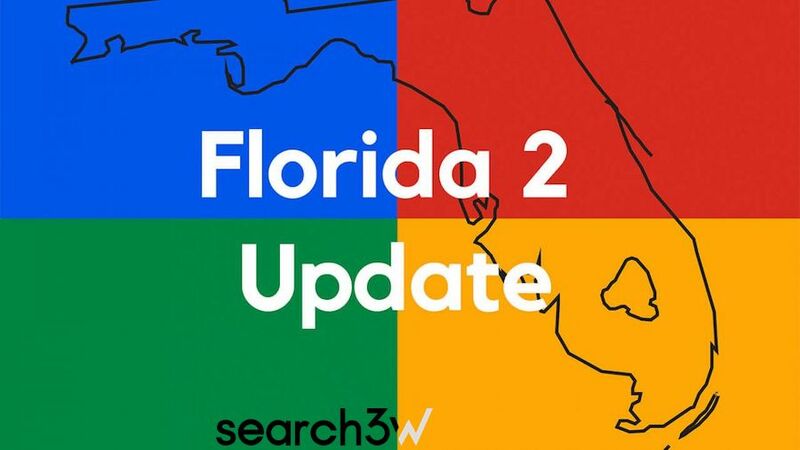 Brett Tabke, the owner of WebmasterWorld forum has named this update “Florida 2”. He named this update and the one in 2003 “Florida” because they happened right after PubCon conference in Florida. It is an algorithm update changing how Google interprets a search query. As such SearchEngineJournal maintains that it is mostly relevancy improvements. Possible specific updates reported by Barry Schwartz is that this going to be a Penguin update. Meaning Google has found a better way to accurately detect sites that don’t follow its rules such as spamming. Other possibilities include YMYL or EAT. SeoRoundTable said it will publish the feedback it gets from site managers to show what categories are affected most. Moz doesn’t seem to show algorithm updates much like they used anymore. Maybe they don’t know what to consider a major update anymore. They used to draw a vertical line in your ranking graph for every update. Check your analytics, Google Search GWT Console and position. You can see if your sites were impacted on or after March 12th. That is when you may or may not see changes, negative or positive changes. For negative impact and traffic decline call me ASAP 1-888-809-9012. One change that has been discovered by MOZ is 19 Organic search results for keywords “pumpkin pie recipe” on Google. Historically there is never more than 10 results per page and there are usually ad results before the Organic results. Some modern websites and have the page render on the client side. This crawled by Google in the second wave. They improving there ability to do. See video how to optimize.